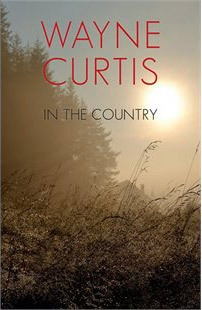 Wayne Curtis, an award-winning writer based in Fredericton, has released a new book, entitled “In the Country”. The book is a collection of 13 short stories, set in a community modeled after Miramichi. Though the stories are fictional, they are based in reality, said Curtis, who grew up near Blackville. His memories of growing up in the woods inspired the book. He decided March would be an appropriate time for it be released. “There’s a period there in March when people like something new to read about the country,” he said in a phone interview. Curtis, an avid outdoorsman, usually releases his books in the fall because of the end of the fishing season and the beginning of hunting season. This year, however, he decided that the spring would be the best time as readers and outdoors people would have the whole season to be inspired by the old-time stories told in In The Country, which are mainly set in the 1950s and ’60s. Curtis, now 72, spent his youth on a farm in Keenans, just outside of Blackville in the 1950s. He explained that it was a different way of living which he loved. That’s why his books are always set in that time period. “Times were so much different when I was a kid and that’s in one lifetime. You know, we walked to the village on Saturday nights and we went to the picture shows, we went to the old diner and played the jukebox and we danced and we smoked tobacco,” he said. He said he and the other boys would hang out in the streets on the weekends. During the week, they were hard at work on the farm and in the woods. “Our evening pastime was fishing and hunting and boxing,” said Curtis. The teens all lived outside of the village by a few kilometres and there were no local school buses at the time, so he and his fellow students went to a one-room schoolhouse until Grade 8. He felt inferior to town children, he said. This feeling has haunted him all through his life. He said that the 1960s brought urbanization into the community where he was raised. By that point, school buses had been in the area for a few years and country students had left the country schools to attend high school in town. But there was an adjustment period, Curtis said. “I know I had trouble with it, I quit school in Grade 9, I wasn’t used to the 60 or 70 people in the class and the teacher who wasn’t all that friendly. So I quit and then I helped my father in the woods for a year and then the next year I went back and I got my Grade 9 and went into Grade 10 and I felt uncomfortable there so I quit for good. So I’m a high school dropout myself,” said Curtis. 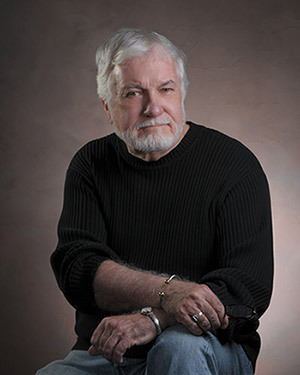 He used those experiences to fuel the stories in his new book about the innocence of youth during a more innocent time. Characters in In The Country get into street fights and go to dances in the village hall. There’s even a few fish tales. “I tried to put something in there for everybody, but each story has a message,” he said. Wayne Curtis will be signing copies of his book at Mill Cove Coffee Shop, 144 Newcastle Boulevard in Miramichi on Thursday, March 17 from 1:00pm to 3:00pm.